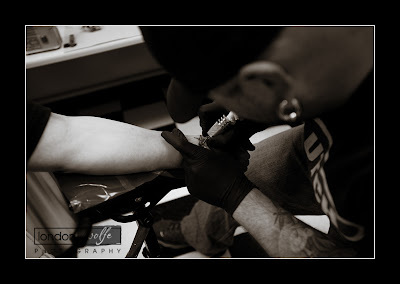 My friend Anthony getting a tattoo to honor his mother who recently passed away. 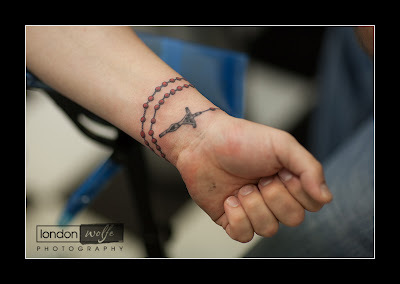 Austin made a replica of her rosary beads around Anthony's wrist. Very cool work! I'm definitely having Austin do my tattoo!